The turnkey delivery of a new SZV-48 Acoustic Vertical Piano to a residence – a no-hassle option offered only by Guitar Center and its retailer brands. A new SZV-48 Acoustic Vertical Piano, sourced online through Guitar Center or one of its retailer brands, gets tuned at its new home. A Suzuki SZG-53 Acoustic Grand Piano, sourced online through Guitar Center or one of its retailer brands, with its new owners. Westlake Village, CA (August 18, 2015) – Guitar Center, the parent company of the world’s largest musical instrument retailer brands, has teamed up with noted manufacturer Suzuki to offer an industry-first online turnkey purchasing option for two of its popular acoustic piano models. The Suzuki SZG-53 Acoustic Grand Piano (5'3") and the SZV-48 Acoustic Vertical Piano (48") are now available through the online retail hubs of Guitar Center’s family of brands: www.guitarcenter.com, www.musiciansfriend.com, www.wwbw.com, www.music123.com and www.musicarts.com. Not only are these pianos conveniently available to purchase through these outlets, but they also come standard with white-glove service, including delivery, setup and tuning, to anywhere in the continental U.S. This makes Guitar Center’s brands the only dealers that can currently ship brand-name acoustic pianos direct to the customer – serving as a perfect option for homes with students, hobbyists or seasoned instrumentalists, churches, schools, recreation centers, performing arts facilities and more. As some customers might have reservations about adding such a significant purchase to their online cart, the same deal is available to those who call the customer service line and speak directly with an agent. Standard return policies will also be honored with these instruments, and the pianos come with Suzuki’s 10-year warranty. Photo caption 1: The turnkey delivery of a new SZV-48 Acoustic Vertical Piano to a residence – a no-hassle option offered only by Guitar Center and its retailer brands. 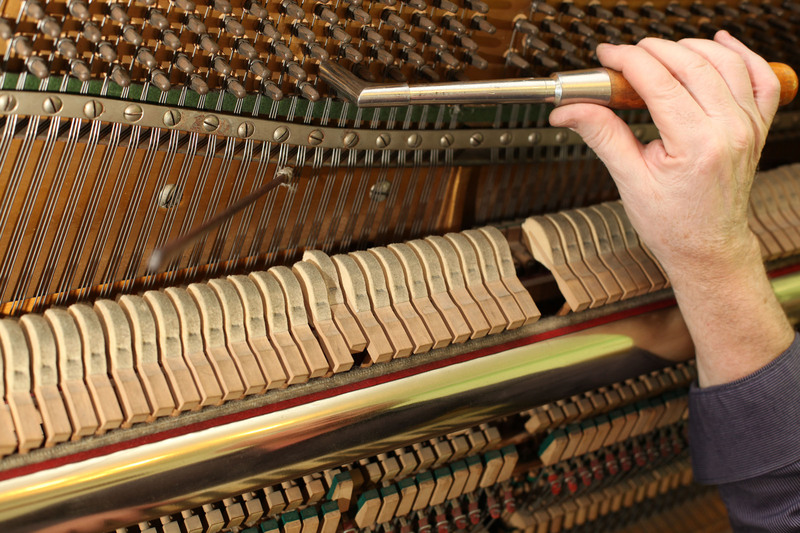 Photo caption 2: A new SZV-48 Acoustic Vertical Piano, sourced online through Guitar Center or one of its retailer brands, gets tuned at its new home. 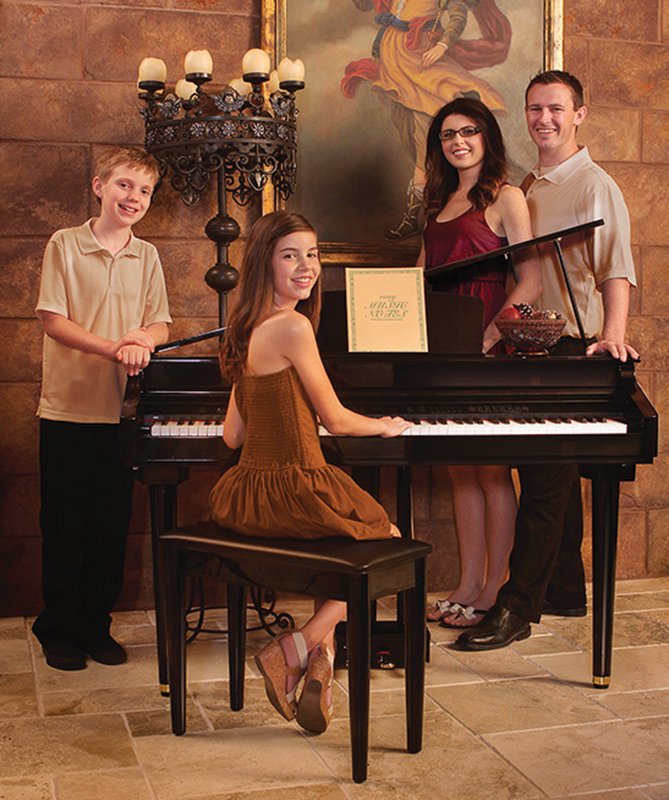 Photo caption 3: A Suzuki SZG-53 Acoustic Grand Piano, sourced online through Guitar Center or one of its retailer brands, with its new owners.